It’s true! After learning to eat paleo in my home kitchen and sharing my adventures with my blog readers, I recruited a crack team of cookbook-making superstars—my husband Dave; Kathleen Shannon on design; a bunch of my favorite word nerds; my parents; and Smudge (of course). We argued about which recipes to include, then tested them like crazy. Over six months, we cooked and photographed and ate. Boy, did we eat! And now we’ve put together a pretty snazzy cookbook that’s really a handbook to help you whip up and enjoy food that will make you healthy and happy. Help yourself to a free 30-page PDF sampler! If you count meals and snacks, we feed ourselves about 28 times each week. All of the recipes – made with zero grains, legumes, soy, sugar, dairy, or alcohol—were created so you can enjoy your food every time. Calorie-dense ingredients like dried fruit and nuts show up as flavoring, instead of primary ingredients, and there’s a balance of Omega-6 and Omega-3 fats, so you don’t have to worry about that stuff—you can just eat. More than 1000 5-star reviews on Amazon! Recipes from my blog formed the foundation of Well Fed. I chose the best ones—based on reader comments and my favorites—then tested and re-tested to get the flavors and directions just right. The recipes in the cookbook are even tastier and more reliable than the originals! For more “real people” reviews, visit our Amazon page to read the hundreds of 4- and 5-star reviews. Food feeds our bodies and fuels our training, but it also nourishes our spirit. I grew up in a food family: my dad owned a restaurant and my mom won just about every cooking contest she entered. We’re also a melting pot family—Lebanese on my dad’s side, Italian and Slovak on my mom’s. From the time I could shove food into my mouth, I was eating kibbeh and eggplant parmesan. In addition to learning how to make pancakes in the morning, I picked up tricks for making baba ghanoush for dinner. The recipes in Well Fed reflect my affection for traditional cuisine and for foods with contrasting flavors and textures. Foods that taste like home. 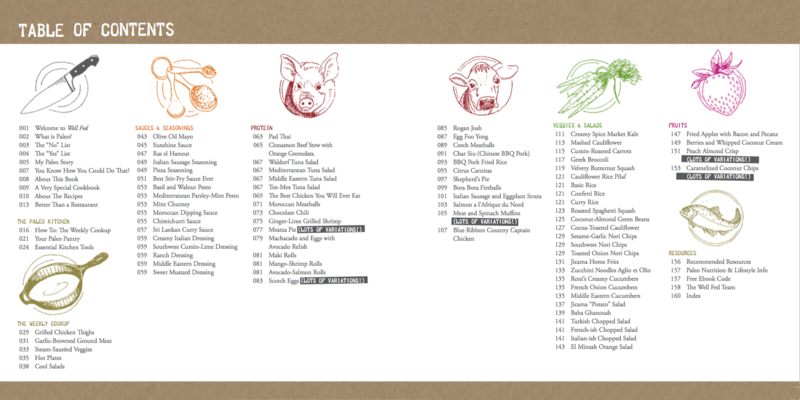 Here’s the Well Fed table of contents; give it a click to see it larger. These are just a few sample photos to whet your appetite. 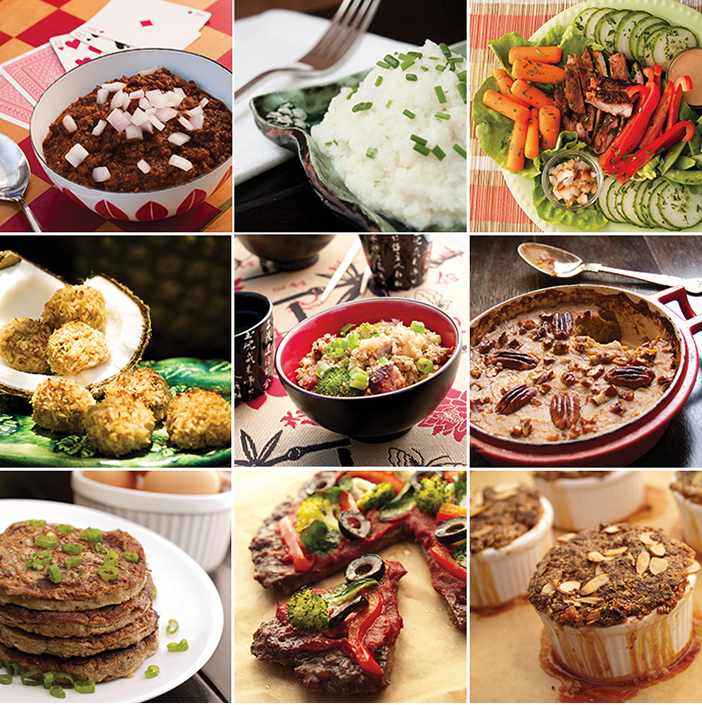 All of the photos in the book show the real food that results from following the recipes. In fact, my husband Dave and I spend a few months a year, cooking, styling, and photographing—and eating the leftovers all week. Click the images below if you’re hungry for the expanded view. 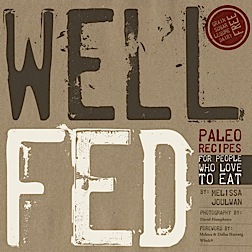 Melissa and Dallas Hartwig of the Whole30 wrote the foreword for Well Fed. And even better, they’ve given all of the Well Fed recipes (except for one dessert: Peach Almond Crisp) their stamp of approval for happy eating during participation in the Whole30 program. I think you’ll be really glad if you do! Happy cooking and eating!